It goes without saying that every dog will go through at least several occasions when he or she falls sick and is required to swallow a tablet. You may be worried about administering medication if your dog won’t take pills. We have a simple trick to get your dog to take a pill easily and without fuss. Though veterinary prescriptions come with every trick in the book to make a dog believe their prescription medicine is a delectable treat, dogs seem to have a way of knowing that this is something they don’t want. Whether it is sugar coated or chicken flavored, the ill-fated object is licked tentatively, held in the mouth with good humor for a bit, and then, inevitably, spat out quietly or vehemently as the case may be. Your dog is unwell, you are stressed; it’s really not the best time for a tussle of wills. Go down that pill must come what may. It’s really not so difficult if you know the trick. The College of Veterinary Medicine, Washington State University, recommends the use of the “meatball” method, where the medication is disguised in a meatball and given to the dog. They also suggest a test run, since if the dog does not swallow the entire meatball as expected, then slipping in a capsule can get messy. If the dog tends to chew the meatball, then it is better to try another method. 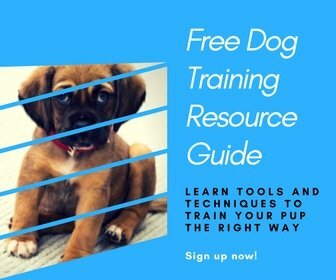 A straightforward method is to hold the head of your dog, making sure that the following step-by-step instructions are followed, to avoid the danger of choking. Placing the tablet between two layers of your dog’s favorite food or treat and getting it into his or her mouth by hand is also an option. But every dog owner also knows that this doesn’t work every time. Many dogs have a knack of slipping out just the tablet long after the rest of the food treat has gone down. Using what is called a reflex action, you can avoid all the fuss and mess and give your dog the pill without too much food. This win-win solution for both dog and owner is a must-try for everybody who ever cares for a sick pet. Simply place the tablet in the dog’s mouth, hold up the lower jaw lightly and dab a small spot of honey or peanut butter on the button of the dog’s nose! It’s a reflex action of the dog to lick up whatever is on his nose, so the honey gets licked up immediately – and the dog swallows automatically. In the process, the tablet or capsule goes in, lightly guided by your holding up his lower jaw at a slightly upward angle so the pill slides down his throat, and doesn’t get dropped by “accident”! When he realizes it also tastes good, he licks it again a couple of times, so even if the capsule is still halfway down, it goes down smoothly in the next round. If it doesn’t happen the first time, no need to worry. Simply place the tablet again, and dab some more honey on the nose. It’s a great way of getting the job done, with a treat for your dog to boot. Check with your vet, though to make sure this is acceptable for your pup. Now that you know the trick, caring for a sick dog need not be as stressful. Administering a pill or two in the interest of dog health need never be a nightmare again. P.S. Help share this info on dog’s not taking pills by pinning this! When Can Puppies Eat Dry Food Without Water?